Come to Petersburg, Alaska and experience the thrill of discovering your own gem in the rustic wilderness of the Tsongas National Forest, the last temperate rain forest on the planet. Tours of the mine are available with prior notice from June 1 to September 1. Every tour is guaranteed finding garnets for each and every person. Almandine Garnets range from 1/8 inch to one inch diameter and are deep red in color. 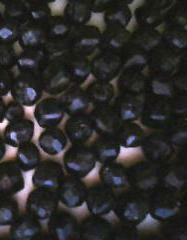 Additional garnets are available for sale as loose stones or in a mica schist matrix. We are an equal opportunity provider, operating in the Tongass National Forest under special use permit from the USDA Forest service.